I’ve never actually seen the bright lights of Vegas mirrored by a star-spangled sky; however, with Online Casino Slots Starry Night app, I have turned my bedroom into a veritable casino, illuminated by the bright backlight of my iPhone – much to the annoyance of my boyfriend. During my late-night sessions on the freemium gambling app, I’ve enjoyed the sensory delights of whirring slot reels, ambient space sounds (I like to think of them as a soothing lullaby for my dozing bed partner- though he may think differently!) and of course the thrilling gold stars that erupt from the slightest touch of your screen whenever you go for the next spin – and if you’re anything like me, they’ll be a lot of ‘next spins’. 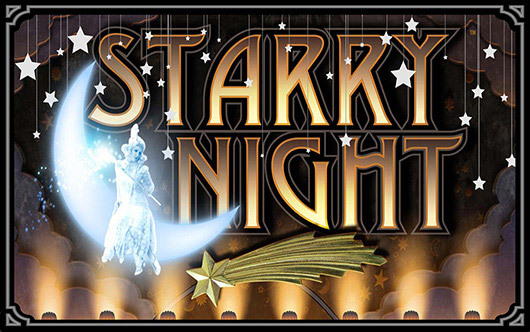 With the inspiration for Starry Night taken directly from the Vegas casino’s floors you’ll be able to enjoy free spins, interactive bonuses, stacked wilds and bonus rounds set to an exciting celestial back drop fit for a venturous Van Gogh. 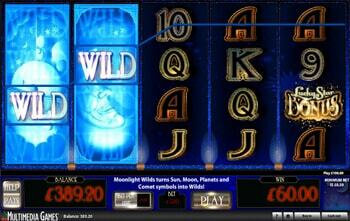 Choose from 5- 50 line slots and adjust your bet accordingly to take full advantage of the wild reels and unique bonus features. For anyone who loves to watch the spin of wheels, with fingers crossed, waiting for the jackpot sounds of bells and whistles this is a great little app for you. With all of the excitement found in a Vegas casino without any of the risk, you can take full advantage of all of the odds without fear of Larry the loan shark bearing down on you at 3 in the morning. If you need any help or would like to explore a little more of the app’s very own Milky Way, you can benefit from the friendly online customer service and secure online in-app purchases. It’s good to know that you can chase up any problems without leaving the comfort of your couch/bed.